With firm commitment to quality, we are engaged in manufacturing, supplying and exporting Swimming Pool Shade Net. These nets are widely used for controlling temperature, reducing evaporation and to prevent access of birds and insects. Our professionals follow the established guidelines of the industry while manufacturing these swimming pool shade nets. In addition to this, offered range of net is checked by our experts on various quality parameters to ensure their flawlessness. Customers can also avail these nets in custom-built range as per their needs. 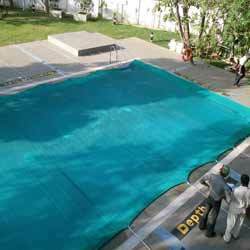 We hold expertise in designing and developing the best Swimming Pool Shade Net. These nets are braided by making use of optimum-grade HDPE tape and monofilament that provide 95% shade, thereby facilitating swimming even in harsh sunlight. Further, these are meticulously designed to control temperature, reduce evaporation and also provide assistance in keeping out birds and insects. These nets are available with us in different specifications, colors and sizes suited to the divergent demands of the clients. 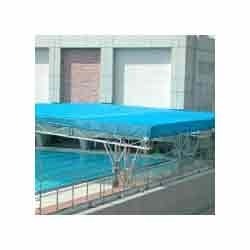 To resolve issue of swimming pool safety, we put forward Swimming Pool Safety Net. These nets are braided by making use of supreme quality HDPE ropes while taking into consideration safety of children. The offered nets can prevent small children from falling into pools. Furthermore, to meet divergent demands of the customers, we offer these nets in different colors and sizes. Looking for Swimming Pool Shade Net ?